I'm so glad you found me on twitter! How else would I have found your delicious blog:) I am so thankful to all the Asian visitors I have to my blog. They have taught me so much about Asian cooking. Growing up in an Italian household, my parents didn't introduce us much to all the other amazing foods out there. I too love "playing" with different types of food:) It looks like you have "nailed" this Beef and Broccoli dish! It looks so yummy! Thank you so much for sharing, Krystal...I'm off to find you on Pinterest! This my ALL TIME favorite Asian dish, I just had some for lunch the other day. 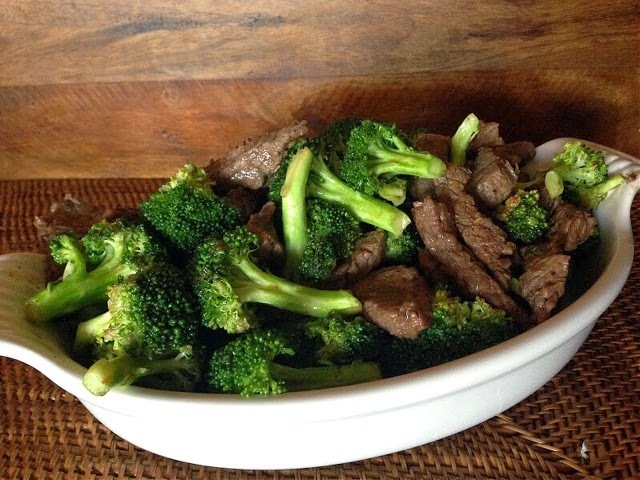 I will have to try this out, been wanting a beef & Broccoli recipe. My man made Kung Pao Chicken for the 1st time. It was quite yummy. Thanks girl for all the great recipes.